HealthCare.gov this site helps find insurance options, compare care, learn about prevention, and understand the Affordable Care Act. State human/social service agencies offer direct aid and referrals to other organizations. These organizations and the people who work for them are invaluable. So many agencies have online forums and resources that help streamline the application process. 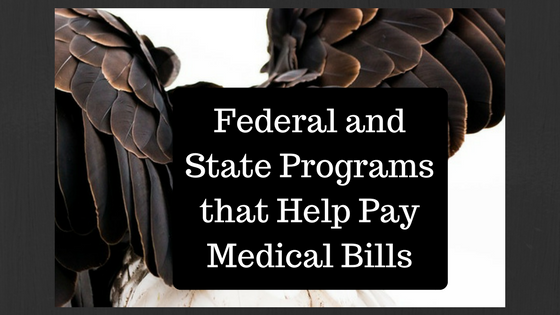 State Medicaid offices offer help based on need and applicants must have a low-income level. It is worth contacting them and checking if your living costs make it so you qualify because they are high. Local Department of Veterans Affairs (VA) offices offer programs designed to help veterans. These offices can provide an invaluable community for veterans and their ability to understand military benefits is very helpful. Eldercare Locator information specialists put you in contact with resources and programs designed to help seniors. Always look into the elder facility and programs that family are using. For Medicare recipients in need of help, contact the Centers for Medicare and Medicaid Services (CMS). Under the Emergency Medical Treatment and Labor Act (EMTALA), enacted in 1986, you’re guaranteed access to an emergency medical evaluation, even if you can’t pay. The act requires hospitals that receive Medicare funding and provide emergency services to evaluate anyone who comes to their emergency room and requests a medical screening examination (MSE), when a request is made for examination or treatment for an emergency medical condition (EMC). If the evaluation confirms that you have an emergency medical condition, including active labor, they are then required to provide stabilizing treatment for you regardless of your ability to pay. Hospitals are then required to provide stabilizing treatment for patients with EMCs. If a hospital is unable to stabilize a patient within its capability, or if the patient requests, an appropriate transfer should be implemented. Charity care programs help uninsured patients who can’t afford to pay their medical bills and don’t qualify for government aid. The patient services department of your hospital can help you find out if you’re eligible. If you don’t qualify, the hospital may offer you a payment plan. State human service agencies provide direct assistance to people in distress and referrals to other local organizations that may be able to help. The linked site lists state agencies and links to connect with them. Local health centers serve people with limited access to health care. You pay based on your income and family size. Income and residence usually needs to be documented with the care center. Use Healthfinder.gov’s list of prescription assistance resources to find more programs that could help you pay for your medicines. Medicaid can be a lifeline for families it provides free or low-cost medical benefits to eligible low-income adults, children, pregnant women, seniors, and people with disabilities. States determine eligibility and approve benefits. Check with your state’s Medicaid office. Medicaid and the Children’s Health Insurance Program (CHIP) names vary state by state. Learn what they’re called in your state. CHIP covers uninsured children and teens up to age 19 in families with incomes too high to qualify for Medicaid. This coverage includes health and dental plans. States have different eligibility rules. You can apply by contacting your state office or calling 1-877-KIDS-NOW (1-877-543-7669), a free and confidential hotline, to be connected directly to your state’s program. 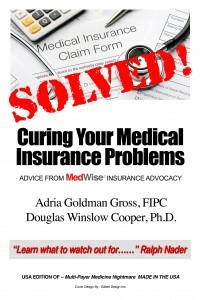 Learn how your Medicaid or CHIP coverage and care work. Supplemental Nutrition Assistance Program (SNAP) is a federally-funded benefit program formerly known as “food stamps.” The benefits you’ll get from SNAP are loaded onto an Electronic Benefits Transfer (EBT) card, similar to a credit or debit card. Eligibility. To determine if you are eligible, gather information showing your income, rent or mortgage, utility bills, child support, daycare expenses, medical bills, Supplement Security Income (SSI), and Social Security or VA payments. You will need this information as part of the process qualifying for your state’s food benefit program. Application. Find the online application for your state. You’ll find local office addresses and phone numbers in the same place. You can also apply in person at a state or local office. Receive your card. If your state determines that you qualify for food benefits, they will send you an EBT card. Manage your benefits. Access food benefits at your local authorized SNAP retailers. You can use the card at a cash register like a credit or debit card to pay for food. Purchase food items.You can use the card to purchase eligible food items at local retailers like grocery stores and at some farmer’s markets. Some states have EBT websites set up for managing your benefits. If your state doesn’t have an EBT management website, you can contact your state SNAP office to check your benefits. If you’re a retailer or work with a farmers market, you can apply online or call the SNAP Retailer Service Center at 1-877-823-4369 to become authorized to accept SNAP. Each local LIHEAP agency sets up its own eligibility requirements. Temporary Assistance for Needy Families (TANF), also known as welfare, is designed to help families recover from temporary difficulties and move forward. Recipients may qualify for help with food, housing, home energy, child care, job training, and more. Each state and tribal government’s TANF program is operated differently, and has a different name. Contact your local TANF office to apply for financial assistance.